TULSA, Okla. (March 18, 2019), — Moore DM Group, the global leader in marketing solutions for nonprofit organizations, announces that Gretchen Littlefield has been named chief executive officer. Littlefield will begin her new role with the organization later this month. Company founder and owner Jim Moore will focus on acquisitions and the strategic growth of the enterprise. Geoff Peters will assume the role as chairman of the Moore DM Group executive board, focusing on product innovations and advancement of neuroscience to benefit clients and the missions they serve. With more than two decades’ experience, Littlefield is an accomplished marketing industry veteran with a proven track record of success in big data, digital media and marketing services expertise. In her previous role as president of Infogroup Media Solutions, Littlefield directed the nonprofit, business-to-business and business-to-consumer integrated data and marketing services business units. Under her direction, the media strategy group experienced rapid growth with innovative products that were vertically focused, serving major industry sectors including retail, nonprofit, publishing, consumer, business and technology. “I am excited about the amazing growth taking place at Moore DM Group. The company is well-positioned to be the leader in marketing automation, and I’m thrilled to be a part of it,” said Littlefield. Littlefield is well-known in the nonprofit arena, launching multi-million dollar fundraising programs, building services and helping lead nonprofit and marketing advocacy organizations. Littlefield is currently the vice chair of The Nonprofit Alliance. TULSA, Okla. (March 11, 2019), — Moore DM Group is pleased to announce Kathy Calta has been appointed to the organization’s executive advisory board. Members of the executive advisory board lend expertise and advise on global strategy, acquisitions, organization and operations to further growth. Calta joined Barton Cotton in 2012 bringing with her a deep expertise in integrated marketing and a desire to serve charitable organizations. 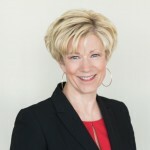 Prior to joining Barton Cotton, Calta was chief marketing officer at Vertis Communications, Inc. She has served in senior leadership roles, including corporate officer, throughout her career in organizations that deliver integrated direct and interactive agency services, customer data management, database construction, analytics, technology, production services and related services, among other functions. “This is an exciting time for Moore DM Group and our clients along with the missions they serve. I look forward to working with all of my colleagues to continue to put customers first and push to deliver innovation and integration in multi-channel fundraising,” Calta said. Calta will continue her role as president of Barton Cotton, a member of Moore DM Group. TULSA, Okla. (Feb. 15, 2019) — Moore DM Group is pleased to announce Kyla Shawyer will engage with the company in a variety of capacities including: the future of fundraising innovation and leadership, international expansion, deepening U.S. market engagement, and leveraging strategic investments for broader sector learning and development. Moore DM Group President Geoff Peters made the announcement earlier this week. “Kyla is a great leader and a brilliant strategist who is well known for her international work with Operation Smile and later for The Resource Alliance,” Peters said. “I’m very pleased she has agreed to work with us and look forward to her contributions to our continued growth.” Shawyer, a nonprofit industry veteran and former CEO of The Resource Alliance and International Fundraising Congress (IFC) has more than 20 years of experience in fundraising, marketing and resource mobilization for international nonprofit and commercial sectors. 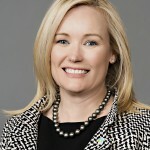 Prior to her time leading The Resource Alliance, Shawyer served in key leadership positions at Operation Smile International, including chief operating officer and senior vice president of international fundraising and marketing, where she was responsible for international operations and global resource expansion, creating the organization’s first globally-integrated fundraising, marketing and communications strategy. “Geoff and the MDM team are committed to investing in innovations that deepen engagement and connection, building truly collaborative frameworks,” Shawyer said. “I am excited about the opportunity to share experiences on global innovation in the social impact sector. There seems to be a universal thirst for better, faster change. More and more people are keen to find a sense of purpose, an outlet for their values. That’s great news for good causes if they can truly align their organizational values with those of people who want to turn their personal values into action,” Shawyer added. In addition to her fundraising experience, Shawyer is an active member of the nonprofit community serving on a variety of industry boards. 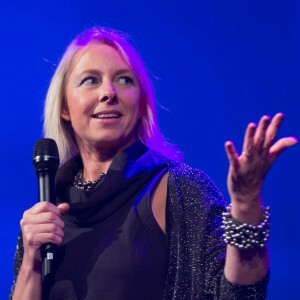 She is passionate about encouraging nonprofits across the world to see themselves not just as a sector, but as part of a vibrant ecosystem of social good that comprises many other ideas, solutions and players. September 1, 2017, Washington D.C., — Moore DM Group announces the formation of Navistar Direct Marketing located in Fredrick, MD. Navistar Direct Marketing is a digital and conventional printing company with full-service direct mail production servicing nonprofit, commercial and political clients. The company will be a member of The Moore DM Group, a global leader in marketing solutions. Navistar Direct Marketing provides turnkey production services to include creative solutions, digital and conventional printing, full-service direct mail, and fulfillment. The state-of-the-art facility will employ more than 200 people. Navistar Direct Marketing named Art Simpson the president. Art served with EU Services for more than 30 years. A team of industry experts have joined Simpson at Navistar Direct Marketing to service its customers. Under Simpson’s direction, Navistar Direct Marketing will have the highest commitment to delivering the most cutting-edge marketing campaigns to provide clients measurable business results. Moore Direct Acquires Redfield & Co.
Moore Direct Marketing (MDM) Group has acquired Redfield & Co., a provider of custom printed products. Terms of the deal, announced last week, were not disclosed. Redfield, which was founded in Omaha, Neb., in 1883, provides promotional mail, automated forms, commercial printing, and pressure-sensitive labels. The firm has about 150 nonprofit clients and has increased its emphasis on nonprofits during the past 15 to 20 years, according to owner Tom Beachler. “They [Moore] can help us in some areas that we either don’t have or are kind of weak in,” he said. For instance, Redfield did not have a letter shop for personalization and mailing services and while they did have some creative, that wasn’t the firm’s strength. Moore DM Group offers direct response fundraising expertise, including strategic consulting, production management, database services, analytical tools, direct response marketing, public relations, and product time fulfillment. Beachler and Tom Kearney partnered to acquire the firm in 1986, bringing in Dale Stephens as a partner in 1990. All three will remain with Moore DM Group. Beachler has accepted the position of president while Kearney will become senior vice president and Stephens will be vice president of operations. All Redfield employees will be offered a position in Moore DM Group, according to Beachler, with some consolidation that will occur at the company’s Topeka, Kansas facility. Moore DM Group recently purchased Topeka, Kansas-based Southwest Publishing and Mailing, as well as Southwest Caging. “Plans are already under way to enhance and expand Redfield & Co.’s capabilities and product lines as well as the direct mail market today,” according to a press release. Tulsa, Okla.-based Moore DM Group owns a number of fundraising firms. The company purchased Bowie, Md.-based CDR Fundraising Group in 2011 and acquired the assets of Barton Cotton for $6.8 million after it emerged from bankruptcy in 2009. It also owns Bernard Data Solutions in Broomfield, Colo., and ResourceOne in Tulsa, Okla.
TULSA, Oklahoma (October 28, 2015) – Moore DM Group announces that it has acquired Southwest Holding Corporation and its two subsidiaries, Southwest Publishing and Mailing and Southwest Caging. By joining the Moore DM Group family of companies, Southwest Holding Corporation’s nonprofit clients will have immediate access to a full range of direct marketing services to meet the ever-changing demands to deliver on their mission. Shane Hillmer, who has a 26-year career with Southwest Publishing and Mailing, will return to his former role as President of the publishing group. Joining him will be Vice President Angie McAtee. Tom Bender will continue as President of Southwest Caging. Since 1971, Southwest Publishing and Mailing has provided one-stop direct mail printing, data, personalization and mailing services to nonprofit clients. Founded in 1988, Southwest Caging provides high quality caging services to non-profit organizations and their professional fundraisers across the U.S. Plans are already underway to expand Southwest Publishing and Mailing’s capabilities and product lines to meet the new and ever-changing needs of the non-profit sector.